Less than a month after being released by the Toronto Blue Jays, shortstop Troy Tulowitzki has landed on his feet. According to multiple reports, Tulowitzki has agreed to sign with the New York Yankees. Of course, what, if any, his role will be for the 2019 Bronx Bombers is still to be determined. 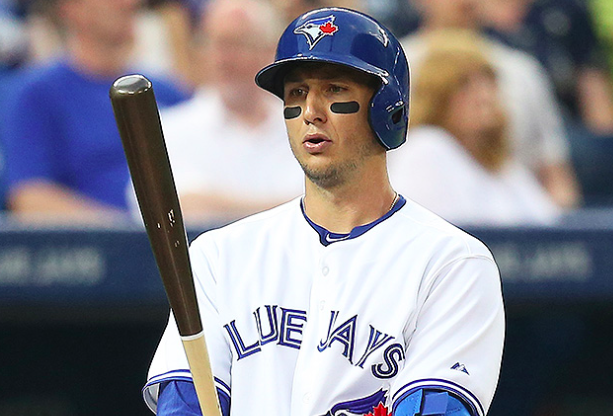 The Blue Jays made the rather surprising move of releasing Tulowitzki in the middle of the MLB Winter Meetings. Toronto saw him as dead weight on their roster with a slew of younger infield options in their organization. It certainly didn’t help that the injury-prone Tulowitzki missed the entire 2018 season after having surgery on both heels. Even with $38 million left on his contract, the Blue Jays were willing to part ways with the five-time all-star. Of course, the Yankees will only be paying Tulowitzki the league minimum. That leaves them with little risk in signing Tulowitzki. If he’s unable to return from more than a year and a half on the sidelines, the Yankees can easily move on from him. Tulowitzki hasn’t played in the majors since July 2017. During the first half of that season, he posted some of the worst numbers of his career. Nevertheless, the 34-year old Tulowitzki could still be a worthwhile reclamation project. The year and a half away should have given his body a chance to rest and get healthy. His days of being an all-star are likely behind him. But it’s not impossible to envision Tulowitzki being a productive major league hitter at this point in his career. Tulowitzki is an intriguing option for the Yankees because of their current vacancy at shortstop. Didi Gregorius is the incumbent, but he’s set to miss at least the first half of the season after undergoing Tommy John surgery after last season. Tulowitzki could be a viable placeholder at shortstop until Gregorius is able to return without the Yankees reorganizing their infield. Gleyber Torres could easily move over to shortstop, although that would create a vacancy at second base. Meanwhile, the Yankees are very much in the mix to sign Manny Machado. If Machado lands in New York, he would be the team’s everyday shortstop, at least until Gregorius returns. Obviously, that would reduce New York’s need for Tulowitzki. However, with the team reportedly open to trading third baseman Miguel Andujar, the Yankees could find a way to rearrange their infield regardless of what other offseason additions they make. The most important thing to keep in mind about the signing of Tulowitzki is that it won’t preclude the Yankees from going after Machado. There’s no guarantee that Tulowitzki will come back from missing all of 2018 and be worthy of regular playing time. He could end up being a backup infielder, even if Tulowitzki believes he can still be an everyday player. No matter how it all shakes out, there’s little risk in the Yankees signing Tulowitzki, making this a positive move for the Yankees.